If there is any state governor that is engaged in a three-dimensional political war, Dr. Abdullahi Umar Ganduje of Kano State stands out. Ganduje, whose eyes and hearts are set on securing a second term in office, is up in arms against the political shadows of his benefactor and predecessor, Senator Rabiu Musa Kwankwaso. 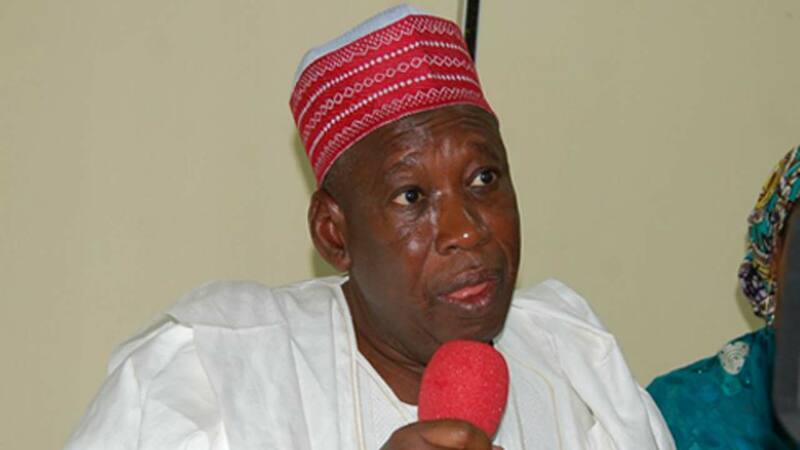 Ganduje is also worried by the internal politics of the All Progressives Congress (APC) both in Kano and at the national level. But it seems the fight for the soul of Kano APC is his immediate assignment. Yet the perceived political frustrations by his running mate in the 2015 governorship election and current Deputy Governor, Prof. Hafiz Abubakar, has brought fresh irritation to the elderly Kano chief executive. As 2019 beckons, it could be rightly said that Ganduje’s plate is full. Recently Prof. Abubakar, who expressed dismay at the shabby and demeaning treatment meted to him at his Mandawari Ward in Gwale Local Council, was so enraged at how the party was treating him that he threatened to opt out of further participation in the pre-2019 politics of the state. “The chairman of my Mandawari Ward, who is also my brother was removed from office. Other changes occurred at my local government area without my knowledge,” Abubakar lamented in the middle of a meeting with his supporters. “My hope is to return to the classroom after May 2019. I have been a university don throughout my life. So, I need to go back to my constituency after this tenure, and face my academic engagements. I am not too keen about it. Let them go ahead with their politicking. Period,” he added. Although the deputy governor did not insinuate that the ill treatment had Ganduje’s blessings, his threat to opt out of the joint ticket with Ganduje, whom he refers to as “my boss,” bore ominous political interpretations, especially given the fact that he still describes Kwankwaso as (Jagora) a political leader. As if the import of that speech was not lost on him, Ganduje swiftly issued a strongly worded statement denouncing the purported mistreatment of his deputy at the ward and council. The statement, released through his Commissioner for Information, Youth and Culture, Comrade Muhammad Garba, read: “Kano State Governor, Dr. Abdullahi Umar Ganduje, is shocked by statement made by his deputy, Prof. Hafiz Abubakar, which was aired on radio over the removal of his Mandawari Ward party chairman. 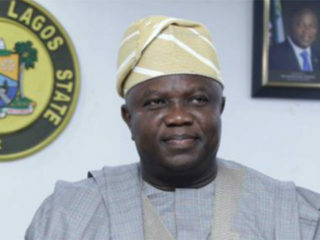 “To this end, the governor has directed the immediate reinstatement of the removed chairman, while calling on politicians to always contact party leadership and politicians holding higher offices before embarking on issues of sensitive nature,” the statement added. Ganduje also tasked politicians and other members of the public to accord similar respect they reserve for him to his deputy in their dealings with him. Be that as it may, there is nothing to show whether the governor’s statement was a sincere indication that the party leadership was not considering Prof. Abubakar matters affecting the party, or a clever attempt at political hide and seek. Whichever way, many in Kano saw the development at the ward and local council levels as obvious disdain for the deputy governor. However, the exchange has thrown up the possibility of an impending political gamesmanship in the 2019 governorship election. As matters stand, one of the posers is whether Ganduje would be made to taste defeat thereby aborting his second term ambition, the way it happened to his estranged political godfather in 2003, when Mallam Ibrahim Shekarau, beat the incumbent. Another poser is whether going back to the classroom represents a veiled reference to a possible shot at governorship by Abubakar, through the prompting of Senator Kwankwaso. 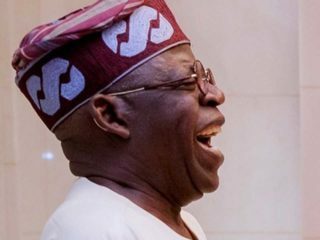 There is no doubt that a scenario similar to that, which played out in Oyo State between Rashidi Ladoja and Alao Akala, could be dicey for Ganduje. Alternatively, the governor may have decided to be neutral in the local politics of Gwale Local Council, because both the deputy governor and the state party chairman, Abdullahi Abbas, hail from that local council. Abbas is said to be uncomfortable with the deputy governor coming from the same constituency, perhaps out of apprehension that that could work against his chances at the state congress. But while the two leaders are known members of the Kwankwasiyya Group, Prof. Abubakar has remained a die-hard follower, while Abbas’ support for Kwankwaso seems to have expired when the former governor completed his tenure in 2015. Sources alleged that Kwankwaso was set to appoint Abbas’ father, then Wamban Kano, Abbas Sanusi, as the Emir of Kano after the demise of the late Emir, Ado Bayero, before a twist of events led to the crowning of the former Governor of the Central Bank of Nigeria (CBN) Sanusi Lamido Sanusi. That development, it was alleged precipitated the rivalry between Kwankwaso and Abbas. It was further alleged that Abbas remotely fueled the crisis, which nearly cost Emir Sanusi the throne a few months back. 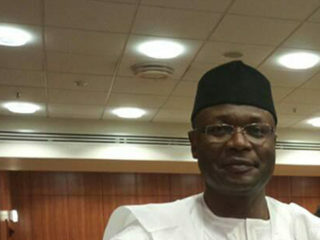 Few days after the deputy governor’s direct attack on the system, the party chairman was removed from his position and presented to the State House of Assembly, for screening as a commissioner. The removal of Abbas (who, prior to his recent appointment was seen as an untouchable), was seen as one of the boldest steps ever taken by Ganduje administration since inception. While Prof Abubakar, remains a Kwankwaso loyalist, many keen observers of Kano politics also believe that Ganduje is still a staunch Kwankwasiyya follower, despite the hues and cries among their disciples. Worthy of note is the fact that even in his angry outburst, Abubakar did not indict his boss Ganduje. That could also be one of the reasons Ganduje urged all to accord him (Abubakar) deserved respect. Also, prior to Abbas’ removal as party chairman, there was a strong-worded statement released by Tijjaniyya Islamic Sect, which is associated with the deputy governor, calling for the immediate review of things regarding the Abubakar. Although the group did not in any way blame Ganduje for what has been befalling his deputy, they acknowledged that some elements somewhere were orchestrating plots against Abubakar. This development also shows that Abubakar’s strength does not come solely from his political ideological base, but also stems from his religious background. Malam Muhammad Al-Bakary Mika’eel, who read the statement endorsed by some of the group’s major leaders in the state, including Sayyadi Tuhami Sheikh Atiku Abubakar, Sayyadi Bashir Tijjani Usman, Sayyadi Fadhalu Dan Almajiri, Malam Nasidi Abubakar Gorondutse, amongst others, noted that the group was particularly dismayed with what was befalling the deputy governor politically. Part of their prayers was that Ganduje should kindly help in finding a lasting solution to the brewing political crisis. A source close to the sect revealed that the group wholeheartedly welcomed Abbas’ removal from the chairmanship position. From all indications, APC is working assiduously to maintain its control of the governorship come 2019, and the chairman’s ouster is a strong indication that leaders of the party do not want to leave anything to chance. But there is a school of thought, which believes that while APC under Abbas was not the genuine party leadership in the state, only time would tell what would determine the direction of politics as the election year draws near. An interesting aspect of political developments in the state is the recent comeback bid of the Peoples Democratic Party (PDP), which has the likes of Shekarau on its front row. Going by the prevailing calibrations, Kano may no longer produce a winner-takes all.